HMC5883L Compass Module IC Documentation. 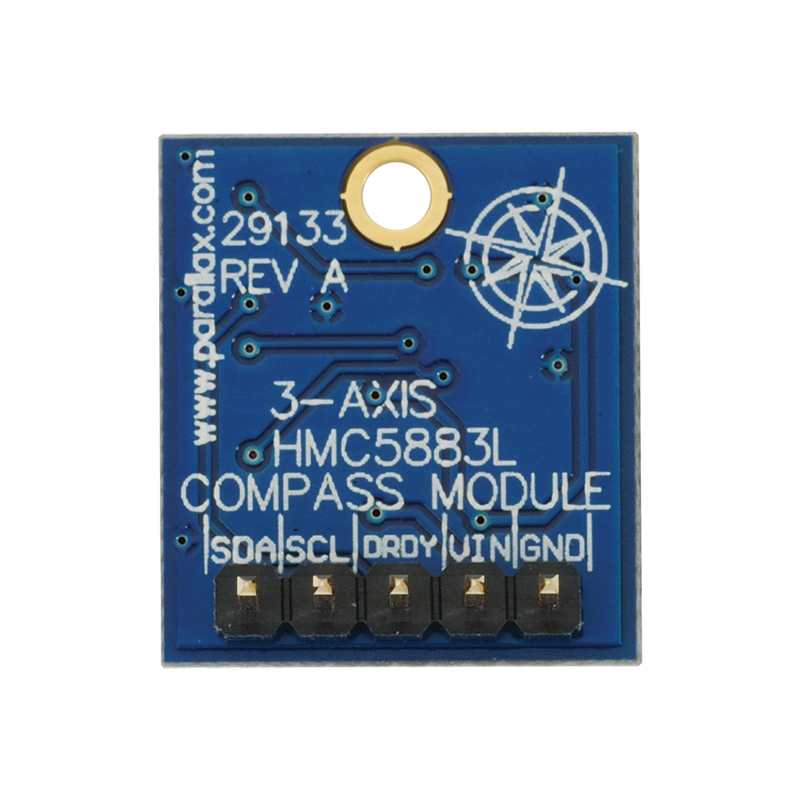 HMC5883L 3 Axis Digital Compass IC Datasheet. 3-Axis Compass Module Propeller Code. Compass Module Example BASIC Stamp 2 Source Code. Compass Module Application Note 2. 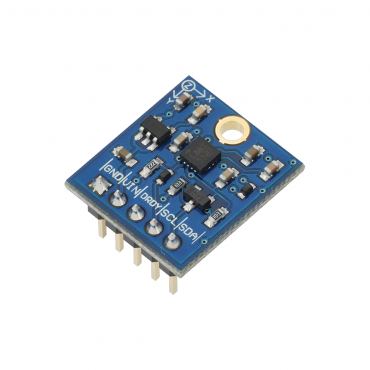 The Compass Module is designed for low-field magnetic sensing with a digital interface. Perfect to give percise heading information. 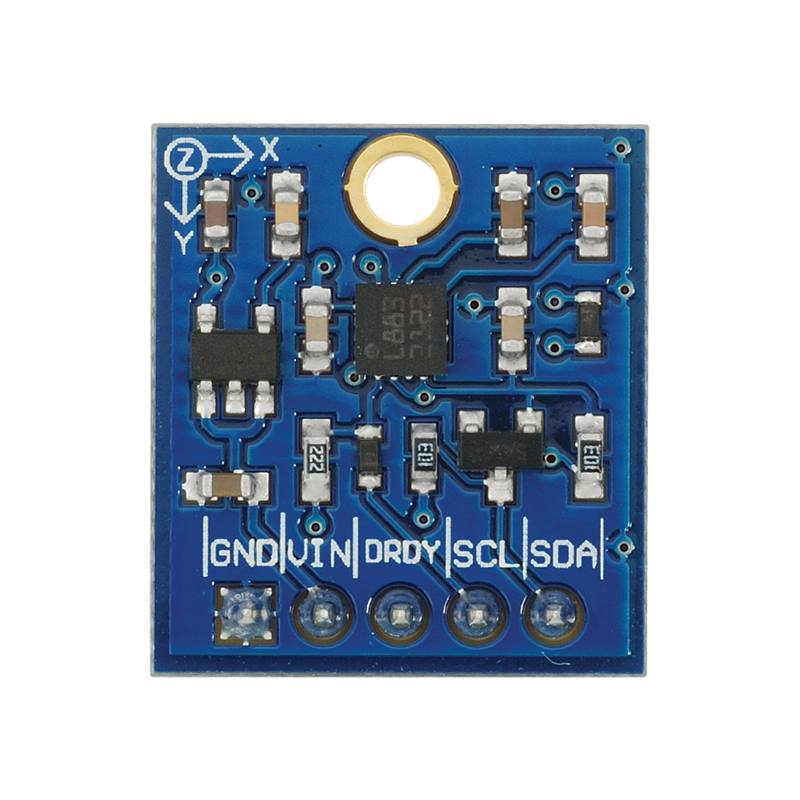 This compact sensor fits into small projects such as UAVs and robot navigation systems.The sensor converts any magnetic field to a differential voltage output on 3 axes. This voltage shift is the raw digital output value, which can then be used to calculate headings or sense magnetic fields coming from different directions. Example code in PBASIC, Spin, and C are provided in the downloads. Precision in-axis sensitivity and linearity. 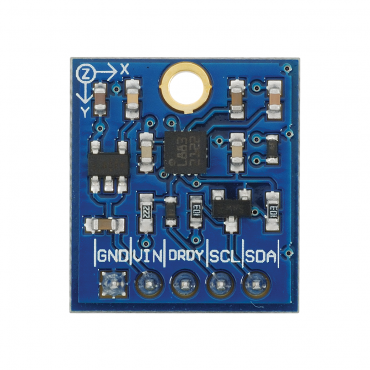 Designed for use with a large variety of microcontrollers with different voltage requirements. Wide magnetic field range (+/-8 gauss). 1 to 2 degree compass heading accuracy. Fast 160 Hz maximum output rate. Power Requirements: 2.7 to 6.5 VDC. Communication Interface: I2C (up to 400 kHz). Dimensions: 0.725 x 0.650 in (1.8 x 1.7 cm). Operating temperature: -22 to +185 °F (-30 to +85 °C).